Kashmir Life (KL): Tell us about your journey as a filmmaker? 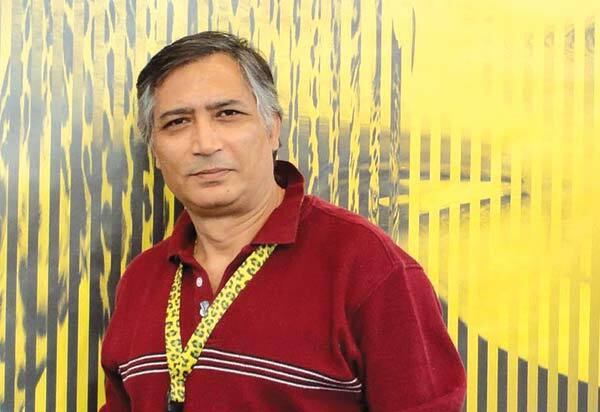 Ajay Raina (AR): A filmmaker’s journey is a never ending endeavour of struggle and hope. It started immediately after I finished a film direction course from FTII (Pune). I straightaway opted for professional documentary making. But back then, documentary filmmaking as a career was yet to take off in India. At the same time lot of things were happening like Kashmir was burning, Hindu rightists were on a rise following Ayodhya controversy. At the same time satellite TV was proliferating across India. For a documentary filmmaker, those were difficult years, as nobody was interested to finance films in Urdu or regional languages. So for survival, I started writing screenplays – on social, cultural, corporate subjects, depending on where the sponsors came from. I also assisted in a few feature film, tried my hands in writing episodes for daily soaps and reality TV. KL: ell us about your films? AR: I specifically love films I had made during initial years of my career. The first documentary I made was about ‘History of Indian Telephone’. Then there was a poetic series of documentaries on different moods of the morning. Later I made a corporate film for NHPC, which helped me in getting more corporate work. But my best film during that period was about the victims of Bhopal gas disaster. It was a very angry film about bureaucratic, judicial injustice, and the denial of compensation to the victims. In 1999, finally the big break came when Public Service Broadcasting Service (PSBT) approved my proposal regarding a film on Kashmir. The film ‘Tell Them, The Tree They Had Planted Has Now Grown’ is close to my heart as it is about my journey back to Kashmir after 11 years. The film won me Golden Conch Award at the Mumbai International Film Festival for Best Documentaries (2002). Later,I made two more documentaries exploring Kashmir issue. The second one, ‘Wapsi’, was partly shot in Pakistan, Gujarat, Punjab and Kashmir. It bagged me National Film Award for best script and voice over narration.I returned this award a couple of months back. The third one is called Apour te Yapor. Na Jang na Aman, Yeti chu Talukpeth (Between the border and the fence). This film looks at Azaadi movement in Kashmir in context of lives of those living near Line of Control (LoC). KL: You visited Kashmir after a decade to shoot films. How was the experience? AR: The visit in February 2000 was an emotional one as it happened after 11 years. The film was about homecoming. I believe, only he, who has a migrant life, can understand the pain of staying away from his homeland. Incidentally, I reached Srinagar on the day three Fidayeen attacked J&K Police Control room at Batamaloo. All three attackers, from PaK,were killed. I visited their graves for my third film in 2010. During the shoot of the film in (2000-2001), I met a number of people including some JKLF leaders. I visited my village, my ravaged home. I talked to people to know their side of the story, what they think of the Pandit migration etc. I wanted to understand what drives the sentiment of Azaadi. I wanted to question it and the migration. I wanted to walk the streets of Srinagar with same lack of fear or apprehension that I had before. During my visit, I travelled unprotected, without security of Indian army, or any militant organisation. I was sceptical about lots of stories I had heard or read about. Those unanswered questions made me visit Kashmir again. KL: What actually prompted you to explore Kashmir issue? AR: I always wanted to make films on Kashmir. After 1996 elections when Farooq Abdullah was reinstated as CM of J&K, I decided to visit Kashmir. At that time, no TV channel in Bombay or Delhi was willing to finance a film on Kashmir. Perhaps they thought Kashmir was unsafe or too controversial. I then thought of self financing, but there were not many people willing to accompany me as my crew. Finally, in 1999 I was able to raise funds for a film on Kashmir. KL: You are part of Oral History Project on Kashmir. Tell us about it. AR: I try my best to stay connected to Kashmir through my films, writings and by organizing events that foster communication between Kashmiris across the divide. In 2013, along with a few like minded friends from Kashmir, I travelled across the valley to build an archive of memories, events etc since 1990. The idea was to acquire and archive old narratives on Kashmir. The narrative is recorded in various formats i.e. video, audio, text, transcript etc. The objective is to help preserve the factual integrity of Kashmir’s contested past against attempts to distort, revise or falsify history. This archive is available at www.kashmiroralhistory.org. KL: Being a Kashmiri Pandit how do you see your community’s mass migration? AR: Migration of KPs in not a complex issue as it is created by certain vested interests in Kashmir and by some in the migrant Pandit community elsewhere. Everywhere in the world, wherever the majority becomes embroiled in violent extremism within, the minority is always the first target. Following the partition of India and during the last sixty odd years, we have witnessed so many riots targeted at the ethnic, sectarian and religious minorities in India, Pakistan and Bangladesh. The violence unleashed by the extremists after 1990 was unprecedented and had not been witnessed before. There were killings of many prominent Muslims and Pandits, as well. But the Pandit community was definitely targeted from the mosques and streets with anti-Pandit slogans. The community as a whole felt isolated from within and unprotected by their neighbours and the state. Moreover, they did not feel included in the political movement or the political aspirations of the larger majority. Therefore, it is not so difficult to imagine why they left. KL: As a researcher and a film maker what do you think has led to the mass migration? AR: As a filmmaker, researcher and story teller, my first and foremost duty and responsibility is to strive to find the truth and tell it so, even being aware that we are caught up in our personal biases. I am not at all interested in pitching the suffering of Pandits against the suffering of common Kashmiris in the valley to score some political points. I believe it important that as long as we remain mired in our respective victimhood and carry our sufferings like some kind of a capital to be redeemed for our political fights, Kashmir will not move on. The focus of my work is centred on reconciliation and dialogue. We must respect and empathise with each other’s pain. KL: How do you see former governor Jagmohan getting Padma Vibhusan from GoI? AR:I was not surprised that Kashmiri Muslims saw this award as adding insult to their injuries, but the shock was when I heard a large number of self-styled spokespersons of Kashmiri Pandits hail it as recognition of his role as their saviour. Like any Kashmiri, I am nearly certain about whom to blame for my exile, but I am not sure if there is anybody I can claim as a saviour of my community. It was not only the Kashmiri people, who in general failed each other miserably, but also the state and the institutions of India and Pakistan. It is difficult to forget that Farooq Abdullah, then CM, abdicated his responsibility by resigning and running away to the UK. It is important to remember that late Mufti Mohammad Sayeed, then as Home Minister, was the one decided to parachute Jagmohan to firefight the insurgency in Kashmir. Moreover, Mufti Sayeed, silently gave nod to the India’s surrender before JKLF militants by letting them go free in exchange of his hostage daughter. By doing so he became instrumental for adding fuel to the fire of Kashmir insurgency. KL: What is the scope of art and cinema in Kashmir? AR: In present circumstances the scope of creating Kashmiri cinema is very limited. First of all you need a viewing public and running theatres. You need inclusive spaces where youth from colleges and universities can gather to watch cinema of the world and be able to discuss films. You need film societies, regular and organised film screenings, film festivals. You need institutional support from state and public. Most importantly,you need filmmakers in Kashmir who can mould and influence the next generation. You need a vibrant artistic and cinema culture, but it is not there. So as of now, I am not very optimistic about cinema in Kashmir. However, I am excited that young Kashmiris have taken to age old forms of artistic expression – writing, music, painting etc. – in more organised and rigorous way. To me, as long as we remain fixed in abusing video as a tool of agit-prop the documentary and cinema as a form of art will not be able to arrive. I say all this from my experience as Jury in film competitions organised by J&K Academy of Art and Culture in 2014. The best films made in J&K were from Ladakh and then Jammu. Unfortunately,Kashmir was way behind despite having one of the first TV stations in India since 1970s. Vijay ji when you enjoy in America how can you see the wounds of common people. My house in Srinagar is under encroachment. Given the debate on social networking sites regarding filmmaker Ajay Raina’s recent e-mail interview with Kashmir Life, we are reproducing the original text of the same below. We are sure that our readers will decide for themselves if the context and the essence of what Mr Raina said has been “distorted”. It is standard practice across the globe that editors edit copies keeping in view the available print space. The final word about any story/interview viz-a-viz length lies with the editor, of course without diluting the context. In this particular case, we leave it for you to decide if any such thing has been done as alleged by Mr Raina. Kashmir Life (KL): You completed your diploma in the year 1991. Then when and how did the journey as film maker begin? Ajay Raina (AR): A filmmaker’s or any artists journey is always a journey of hope and struggle. It does not end. It is not ever supposed to end. This journey of hope and struggle plays out on many levels – creative, material and ideological. After finishing my film direction course at FTII, I plunged straight into my profession, making documentary films at a time when there was not much independent documentary filmmaking in India and when India’s cultural, political and economic life was undergoing a deep turmoil and long lasting transformation. It was a time when Kashmir was burning, the Hindu Rightist’s were on an upswing following the Ayodhya movement. The communist movement had crumbled all across Europe. America had launched its first war in Iraq. Indian economy was in a shambles and most important of all, new satellite TV stations had started proliferating all across Indian landscape. Looking back, one can sense the transformative dimensions of that era only in hindsight, but living through those changing times was not an easy matter at all, especially if you wanted to remain closely allied to your ideals and idea of what makes art and especially if you hated the Mumbai Film industry for its whole hearted devotion to vulgarity and crass commercialism. Those were difficult years, especially if one was keen to make feature films of a different kind in Urdu and in one’s own language. So I kept making documentary films – on social, cultural, corporate subjects, depending on where the sponsors came from. I kept on writing screenplays for feature films on subjects that nobody in Mumbai would be interested in making. I assisted in a feature film, dabbled in making and writing episodes for some fiction soaps and reality TV serials, and thus I carried on, finding immense joy and pleasure in doing what I liked best and hating every moment of fighting with my producers over something they did not like me to do. KL: As a filmmaker, you would definitely have your favourite works. Please tell a bit about them and any particular reasons they are your favourites? AR: I especially love the films I made in the initial few years after passing out of Film Institute. The one’s on the ‘History of Indian Telephone’, a poetic documentary series on different moods of the morning, and a corporate film for NHPC helped me a lot in getting more corporate work but my best film in that period was a documentary film about the victims of Bhopal Gas Disaster. It was a very angry film about bureaucratic and judicial injustice and the denial of compensation to the victims of the world’s most infamous industrial disaster. Then, following some uninteresting work for TV satellite channels and making rounds of producers and film stars offices with my scripts, the big break came to me in 1999 when Public Service Broadcasting Service (PSBT) took up my proposal to make a film in Kashmir. The film ‘Tell them, the tree they had planted has now grown’ is a very personal film about journey back to my home since my last visit in November, 1989. It picked up the Golden Conch award at the Mumbai International film festival for documentaries in 2002 and a few more awards besides. Following this film I subsequently made two more interesting and significant documentary films exploring the Kashmir issue. Of these the second one, ‘Wapsi’, was partly shot in Pakistan, Gujarat, Punjab and Kashmir. It fetched me the National Film award (which I returned a couple of months back) for script and voice over narration. The third film in the series is called ‘Apour ti Yapor. Na Jang na Aman, Yeti chu Talukpeth.’ (Between the border and the fence). This film looks at azadi movement in Kashmir in context of lives of the people living on the Line of Control (LOC) in Kashmir. This is my recent personal favourite film till my next. KL: You were born in Kashmir but spend most of your life outside Valley. What kind of memories and anecdotes of kashmir occupy you. Share a bit of them? AR: I was born in Kashmir. I did my schooling from Biscoe and graduation in Engineering from NIT (formerly Regional Engineering College) in Srinagar. My most memorable time in the school remains the trekking trips we took to Mahadev Peak, Alapather, Gangabal and Tuliyan lakes and many camps we used to go to every summer. I especially cherish the memory of our regettas on the Dal and many Dal crossings, which enabled me to earn the Best All Round Boy prize in my school. In college, I spent most of my time doing theatre in the college drama club that I had initiated, in writing for our college newsletter and in compering programmes as a casual artist in Radio Kashmir Srinagar. I would never miss any english language film that used to release in Broadway, Regal, Khayam and Palladium. I was not much interested in politics and other usual activities that most of my friends participated in, but the most I cherish about growing up in Kashmir is the memory of long isolated walks in the Nageen Campus of the University of Kashmir and along the inner Dal from Rainawari to Nishat. I remember that on the day we were to stage our English Play ‘Men Without Shadows’ by Jean Paul Sartre at Tagore Hall, Indira Gandhi had been assassinated. In 1982, we had to suspend our rehearsals for a play to go visit Sheikh Abdullah’s home after hearing that he had passed away. KL: You returned to Kashmir after 13 years to shoot a film. What brought you back? In my film made in 2000-2001, I met many people I had known, I met strangers, I went to meet the leaders of JKLF. I visited my favourite haunts, my village and my ravaged home. I wanted to talk to people about their stories. I wanted to hear what they had gone through. I wanted to know what they thought about the exodus, why the Pandits left? I wanted to understand what drives the sentiment of azadi. I wanted to question it and the exodus. I wanted to walk the Srinagar streets with same lack of fear or apprehension that I had before. I travelled unprotected, without the security of Indian army, or any militant organisation … I had so many questions, doubts. I was skeptical about lots of stories I had heard or read about. Those were the reasons that had brought me back. All those things are in my film. Unfortunately, even 14 years since that film, not many people in Kashmir have or want to see that film. While many Kashmiris today rightly demand their democratic rights for freedom of expression and right to dissent from the Indian state, I find the same is denied to me by my own fellow Kashmiris in Kashmir. While there for the first time since the start of the militancy, It was also the first time in my life that I was made conscious of my Pandit identity in Kashmir. KL: How and when was the idea conceived? AR: I had always wanted to and still cherish the desire to make all of my films in Kashmir. It was in 1996 after the first assembly elections in J&K that re-instated Farooq Abdullah back into Chief Minister’s chair that I first thought of going to Kashmir with the same idea. But, at that time no TV channel in Bombay or Delhi was willing to let me do the film. They perhaps thought Kashmir was unsafe or perhaps too controversial to go to make a film of this nature. I thought of putting in my own money to travel to Kashmir, but then the other issue was there were not many people who were willing to accompany me as my crew. Finally, It was in 1999 that I could manage to raise the funding to be able to do the film. KL: How was your experience to work at home after more than a decade? Any differences (in people and surrounding) that you noticed after coming back? AR: It was a terrible lesson in understanding the workings of fear, insecurity and mistrust but also great learning in terms of understanding that humanity is a priceless gift that we share with each other even in great adversities. It taught me that we cannot blame an individual for a collective malaise that afflicts the entire society and we cannot tar an entire humanity for the doings of a few. I had only a couple of really bad experiences with people I did not know. But overall, on day to day basis, I did not have to face any bad incident while meeting and working with people in Kashmir. Wherever I went, people were mostly welcoming, though initially hesitant to speak their mind openly. They were co-operative and helpful and even went out of their way to make me feel safe. It was only in the end that I realised, the fear I had felt was because of what I had seen in the eyes of the people I was spending my nights and days with. They were fearful of the same thing that I was afraid of – a sudden, unexpected explosion, bomb-blast or burst of sudden gunfire. What I was afraid could happen to me and my shooting crew was scaring them as well. But more than that, I felt very sad and overcome by a deep nostalgia for what Kashmir used to be before 1990. I missed peace. I could see how the war had ravaged my once beautiful valley and it made me deeply sad, humiliated and angry about what we had allowed ourselves to do to our people and our land. I was not calm. You can see it all in my film. KL: Some years back your organized a film festival relevant to Kashmir. At most of the places it was a success but in Hyderabad some people spoiled the mood. Share a bit of your experience. In Hyderabad, the invited filmmakers and the organisers were attacked at the venue of the festival a few hours before the screening of the inaugural film. There was damage to the theatre as well to some of the personal equipment of the organisers. My laptop was damaged. However, the goons were caught by the police. We had to cancel the event only for a day. The festival resumed the next day at all the other venues and we screened all the films and held the discussions as per the schedule. If the aim of the goons was to disrupt the screenings, they obviously did not succeed, since following the incident the local as well as national press and various universities in Hyderabad made it sure that the festival could proceed as planned. KL: Has the Hyderabad discourage you in any way? AR: The disruption and the violent attack on the venue and the filmmakers was a minor setback. It actually boomeranged on the disruptors as there was much furore over the attacks on us in the national and local media. So, Hyderabad incident really did not discourage the filmmakers or the organisers in any way as was demonstrated by solidarity and show of firm support by the organisers at Hyderabad and at the subsequent events in Pune and Delhi. Most discouraging to me personally and to many Kashmiri filmmakers however was the negative reports regarding the festival in some local English language press in the valley. These press reports sought to denigrate the festival, without any basis, as an attempt to portray only one point of view about the Kashmir conflict, which anyways was not true at all. Second thing that discouraged me in Kashmir was that though I had proposed to the University of Kashmir and IUST and to some newspaper chains to host the festival, there was not much positive response. In fact the University of Kashmir tried to interfere in the programme selection of the festival, which was not acceptable to me. KL: This is a way of staying relevant to Kashmir and making the Valley relevant to others. What are the others ways you keep connecting to Kashmir? Like any Kashmiri, I too am disturbed and angered by the continuing turmoil in Kashmir. I empathise with all the suffering that a common Kashmiri has gone through over last two and a half decades of turmoil. The only possibility of a change for the better is in dialogue, discussion, reconciliation and in ultimate resolution of Kashmir imbroglio. I try my best to stay connected to Kashmir through my films, writings and holding events that foster open dialogue and communication between Kashmiris across the divide. KL: Being a Kashmiri Pandit, how do you see teh mass migration of Pandits as? AR: It is not such a complex issue as it is made out to be by certain vested interests in Kashmir and by some in the exiled Pandit community elsewhere. Everywhere in the world, wherever the majority becomes embroiled in violent extremism within, the minority is always the first target. You see it presently in Pakistan, Bangladesh, Syria and Iraq. In the past we have examples of Germany and also Turkey. Following the partition of India and during the last sixty odd years, we have witnessed so many riots targeted at the ethnic, sectarian and religious minorities in India, Pakistan and Bangladesh. 1990 was the beginning of a tumultuous period in Kashmir’s recent history. The violence unleashed by the extremists was unprecedented and had not been witnessed before. There were killings of many prominent Pandits and Muslims as well. But the Pandit community was definitely targeted from the mosques and streets with anti-Pandit slogans. Women were kidnapped, raped and brutally killed. The community as a whole had felt isolated from within and unprotected by their neighbours and the state. Moreover, they did not feel included in the political movement or the political aspirations of the larger majority. Therefore, it is not so difficult to imagine why they left. To really understand what must have happened to Pandits in 1990, there is no better way but to imagine yourself as a Pandit in that situation. Any Kashmiri who has mistrusted, doubted and cast unnecessary aspersions on the Pandit story must honestly ask herself, what she may have felt and done if she were a Pandit. But if twenty six years down the line, when a Kashmiri still persists in asking why or even imputing various conspiracy theories to the tragedy of our exodus, she is only adding insult to the injury and remains a major stumbling block to any kind of reconciliation that the two communities direly need. I do not have much else to say on this because I have talked long on this in my films and some writings and am still exploring the story in depth, in all its complexities. KL: As a researcher, a credible film maker, what do you think has led to the mass migration? AR: As a filmmaker, researcher and story teller, my first and foremost duty and responsibility is to strive to find the truth and tell it so, even being aware that we are caught up in our personal biases. I am not at all interested in pitching the suffering of Pandits in exile against the suffering of common Kashmiris in the valley to score some political points. I believe it important that as long as we remain mired in our respective victimhood’s and carry our sufferings like some kind of a capital to be redeemed for our political fights, Kashmir will not be able to move on. While Pandits and Muslims remain caught up in their medieval era battles over supremacy of their faiths, the world has moved on to newer frontiers for equality, justice and fair distribution of Earth’s resources. If not now, but definitely at some point in the future we will need to come to terms with our pasts and find a mutual way to co-exist in a different way than before. So the present focus of my work is centered on reconciliation and dialogue. For that it is essential that we respect and empathise with each other’s pain and find some way of mutual accommodation to be able to fight our future battles for class, caste and poverty on basis of a common understanding that most Kashmiris are more privileged in lots of ways than many of the most in the rest of South Asian region. KL: Your take on mass migration of Kashmiri Pandits which took place in early 1990’s? KL: In view of that how do you see Padma Vibhusan awarded to former Governor Jagmohan? Following the government of India announcement last month that Jagmohan, the erstwhile Governor of Jammu and Kashmir, would be awarded the Padma Vibhushan, I was not so much surprised that the Muslims of Kashmir saw it as adding insult to their injuries, but indeed more shocked to hear that a large number of the self-styled spokespersons of Kashmiri Pandits go to town, hailing it as recognition of his role as their saviour. Like any Kashmiri, I am nearly certain today about whom to blame for my exile, but I am not sure if there is anybody I can claim as a saviour of my community or for that matter of any Kashmiri in those trying days. It was not only the Kashmiri people, who in general failed each other miserably, but also the states and the institutions of India and Pakistan. It is difficult to forget that at the time Kashmir burst into flames, Farooq Abdullah, the chief minister, abnegated his responsibility to his people by resigning from his post in a huff and running away to the UK. It is important to remember that Mufti Mohammad Sayeed, the first Kashmiri Home Minister in the VP Singh government, the person with a leading role in the decision-making process in the Government of India, was the one who may have decided to parachute governor Jagmohan to firefight the insurgency in Kashmir. Moreover, it was the same Mufti Mohammad Sayeed, who in silently acquiescing to the Indian state’s surrender before the secessionist militants of the Jammu Kashmir Liberation Front, in letting them go free in exchange of his hostage daughter, not only expediently reneged his oath to the constitution, but in doing so became instrumentally responsible for adding fuel to the fire of Kashmir insurgency. But if Kashmir continues to smoulder today, it is not only for not holding Farooq Abdullah, Jagmohan and Mufti Sayeed accountable for wilful dereliction of their constitutional responsibilities to the people, but also for what they could not do as chief ministers of the state after returning to rule later. KL: Being an expert in cinema, do you see any scope that the youth of Kashmir can contribute professionally in film making and documenting the pain and the costs of conflict of the region? AR: When I was staying in Kashmir in 2013, I happened to spend some time with the students of Mass Communication course at IUST, Awantipore. Over a week long documentary film making workshop with these students, I had the opportunity to observe that these students were as talented and hardworking as students elsewhere, but what they lacked is proper and systemic teaching of film making. Some of the students had even been making their own films but they clearly did not have the guidance of experienced mentors, the rigour of proper film making methods and film making grammer. With the kind of cheap technology (digital cameras and editing software) that is available, anybody with the desire to make films can do so, but she does not realise that making films cannot be such an arbitrary process as recording a scene and than putting the shots together to make some sense. Like a journalist, writer, painter, poet or a sculptor, a filmmaker too needs to go through the rigour of understanding the technology, grammer, language and practice of filmmaking in the same way as any serious artist. Though there are many eager youth in Kashmir interested in the art of Cinema and in creating films, I felt there is a lack of proper teaching of filmmaking, of infrastructure and cinema study practice. The problem is compounded by our history and culture. We need cinema theatres, a cinema going public and only then will we feel a need for making films that cater to our own experience of living in Kashmir. This can only happen when the society and the state opens up the space for creation of art and for fearless public discourse. To my mind, the best of films documenting the pain and cost of conflict in Kashmir are being made by Kashmiris who go through the rigour of film making in institutions outside Kashmir and in various universities all over India. There are many such filmmakers who have done well for themselves professionally and as artists. What we need foremost is one such institution in Kashmir where Cinema as art is taught seriously as a professional course. KL: How do you see the scope of art and cinema in kashmir? Apart from being an audience, do you think they are interested or are allowed to be a participatory agent? AR: In present circumstances, the scope of creating Kashmiri Cinema in Kashmir is very limited. First of all you need a viewing public. You need running cinema theatres. You need inclusive spaces where youth from colleges and universties can gather to watch cinema of the world and be able to discuss them. You need film societies, regular and organised film screenings, film festivals. You need institutional support from state and public. Most of all you need practitioners of cinema in Kashmir who can mould and influence the next generation of filmmakers. You need a vibrant artistic and Cinema culture, but it is not there. So, as for now I am not very optimistic about the cultural scene in kashmir. What I am more excited about though is that the new generation of Kashmiris have taken to age old forms of artistic expression – writing, music, painting – in more organised and rigorous way. To me, as long as we remain fixed in abusing video as a tool of agit-prop the documentary and cinema as a form of art will not be able to arrive. I say all this from my experience of sitting in the Jury for competition of films that was organised by the J&K Academy of Art and culture in 2014. The best films made in J&K happen to be the ones coming from Leh, Ladakh and then Jammu. Kashmir is way behind, unfortunately, though it had one of the first TV stations in India in early seventies. I need some help in finding out if this kashmirlife.net is unique in the world for publishing the real interview in ‘comments’ section and the distorted version + distorted headline as the main link. Here is the note I had appended to the original interview after its publication. I had sent this to the reporter. But even this was not published. So after reading this, I hope my friends here will be clear whether this publication is really honest in its reporting. I was approached via e-mail by Syed Asma of kashmirlife.net for an interview. She sent me a list of questions to which I replied in great detail. As you can see, I was asked questions about a whole range of issues and all aspects of my work. In fact I was asked for more clarifications on certain things in my later exchanges with the said reporter. The interview finally appeared about a month and a half later in a very abridged and distorted form. The ‘edited’ version of the interview has heavily twisted my words, sentences, entire passages and conveyed a completely misleading picture of what I said about some of the contentious and complex issues I was asked. It is normal to expect and also an ethical practice in journalism that after editing, the draft would be sent to the respondent for his consent and approval. It was brought to my notice by many people that what I had purportedly said in the published version of my interview made fun of and belittled the experiences of many people who have suffered in Kashmir. I have many issues with the published interview, too numerous to go into details here, but I would only point at the headline, which has been suggested as my quote from the interview – “Migration of KPs is not a complex issue as it is created by certain vested interests” – What I actually said was, “It is not such a complex issue as it is made out to be by certain vested interests in Kashmir and by some in the exiled Pandit community elsewhere.” The way in which my words in the entire conversation (including in the headline) have been twisted around suggests that a deliberate spin has been at play during the editing process. Looking deeper into the differences between my original answers and the advertant, deliberate omissions and interpolations that the editorial team at kashmirlife.net has brought to my words in the published article suggests to me that whosoever is responsible for this shoddy, amoral and unethical journalism reflects a very low point for practice of journalism in Kashmir. I’d hope that your paper will immediately publish my interview in entirety as it is (the mail I sent to Ms. Syed Asma, with her questions as they were originally asked) and also issue an apology to me on the kashmirlife.net website for this brazen attempt at distorting my history. This reflects very poorly on journalism in Kashmir, on your organisation and your editorial team. Please forgive me for this nasty turn in our conversation that I had hoped would be about mutual respect for our professionalism.